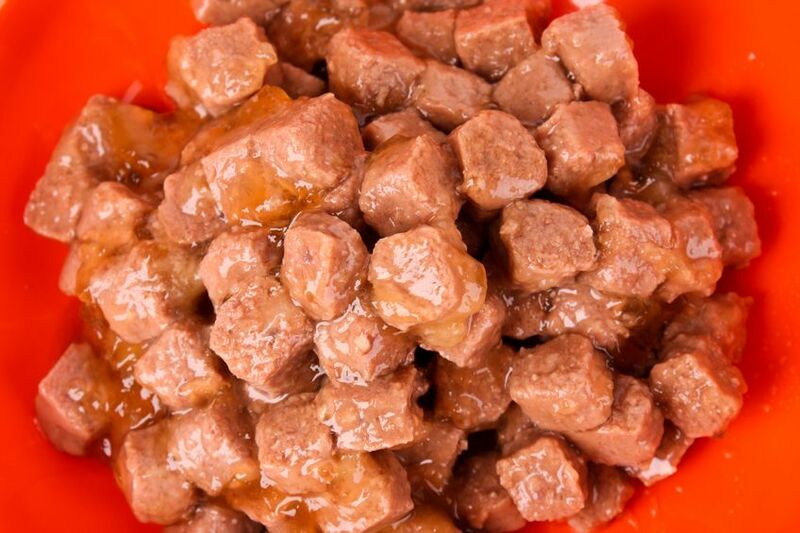 Pet Food Slurry Viscosity - Hydro-Thermal Corp.
A pet food processor division of a conglomerate manufacturer featuring 50 leadership brands wanted to improve their process at the spray bar of the extruder and needed to maintain the proper viscosity of the meat slurry. Another main objective was to implement sustainability initiatives per their corporate plan. At this location, an inefficient sparging system was in use that had trouble holding the proper water temperature. In addition, this system took up a lot of space and wasted energy. This company also needed better temperature control at the extruder for a more consistent product viscosity. A 1.0” EZ Heater® Skid System was installed to produce 195°F water at the spray bars of the extruder. The EZ Heater holds water temperature to within ±1°F assuring consistent and proper product quality. The viscosity of the meat slurry in the extruder produces proper kibbles with moisture levels within process parameters and the EZ Heater saves space. The sparge system took up 4 times as much floor space as the EZ Skid™ and needed more clearance for maintenance work. The company is pleased with the results as they positively affect their sustainability efforts. The energy required at the boiler for steam is 7% less than with the old system and the company is saving over $10,000/yr in energy costs. Also, maintenance at the sparge tank is no longer an issue and the peripheral equipment needs less attention because it is no longer damaged due to steam vibration.